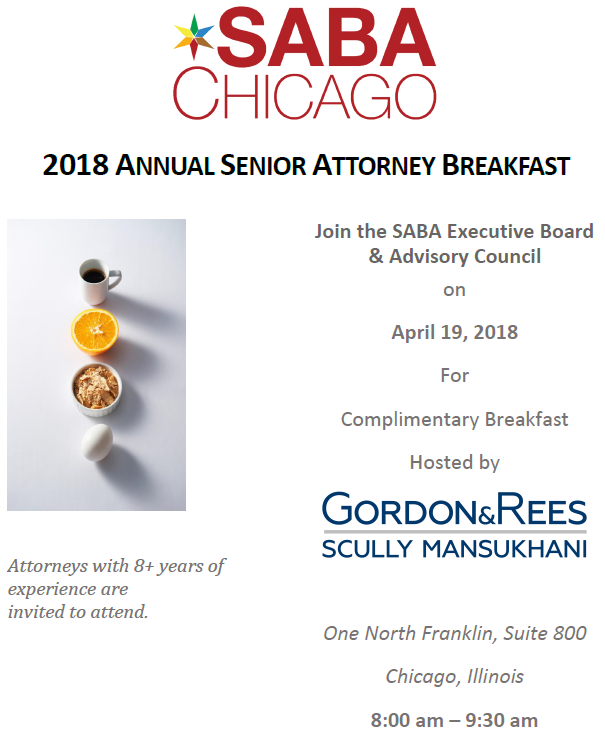 The SABA Senior Breakfast is a recent tradition aimed at creating an opportunity for the experienced members of the Chicago South Asian legal community (7+ years of experience) to meet one another. 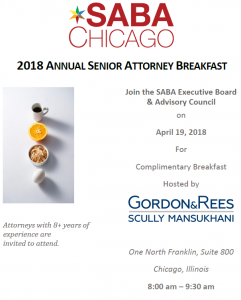 Last year's event was attended by nearly 40 legal professionals in a wide array of roles, including public sector, in house, law firm, and non-traditional. 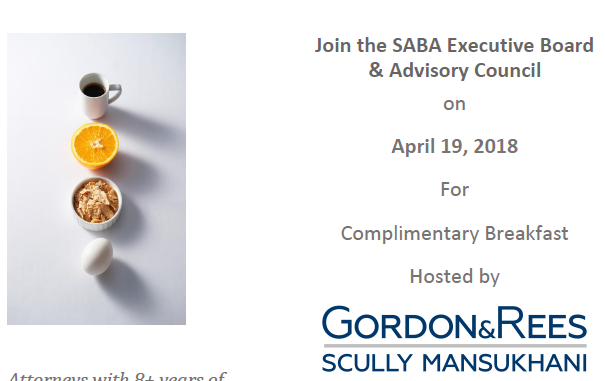 Breakfast will be provided courtesy of Gordon Rees Scully Mansukhani LLP. RSVP required by April 17th.